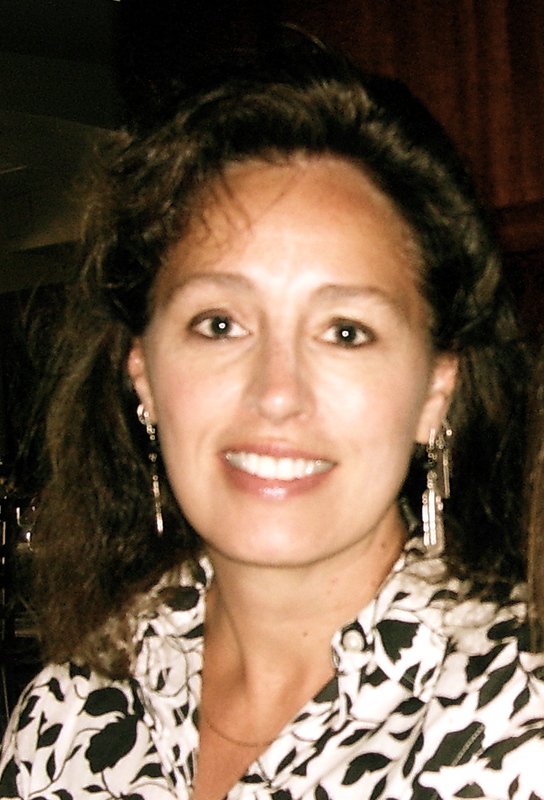 K. L. Cook (MFA, Warren Wilson College) is the author of three award-winning books of fiction. His first book, Last Call (Univ. of Nebraska Press, 2004), a collection of linked stories chronicling three decades in the life of a West Texas family, won the inaugural Prairie Schooner Book Prize in Fiction. The Girl from Charnelle (William Morrow/Harper Perennial, 2006-2007), a novel, won the Willa Award for Best Contemporary Fiction and was an Editor’s Choice selection of the Historical Novel Society, a Southwest Book of the Year, and a finalist for the James Jones First Novel Award. 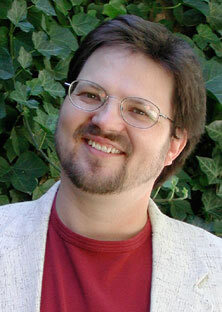 His most recent book, Love Songs for the Quarantined (Willow Springs Editions, 2011), a thematically linked story cycle, won the Spokane Prize for Short Fiction and was a Longlist Finalist for the Frank O’Connor International Story Prize. Cook’s stories and essays have appeared in such journals and magazines as Glimmer Train, One Story, Harvard Review, The Writer’s Chronicle, Poets & Writers, Threepenny Review, Brevity, Louisville Review, Shenandoah, and American Short Fiction. His work has also been anthologized in Best American Mystery Stories 2012, Best of the West 2011, The Prairie Schooner Book Prize: Tenth Anniversary Reader, Teachable Moments: Essays on Experiential Education, Now Write: Fiction Exercises from Today’s Best Writers and Teachers, and When I Was a Loser. Other honors include the 2011 Western Writers of America Spur Award for Best Short Story about the American West, the Grand Prize from the Santa Fe Writers Project, an Arizona Commission on the Arts fellowship and grant, and residency fellowships to the MacDowell Colony, Yaddo, Ucross, and Blue Mountain Center. Before coming to Iowa State, Cook was a Professor of Creative Writing and Literature at Prescott College—a private liberal arts college with an environmental and social justice mission—where he also served as the Chair of the Arts & Letters Department and Associate Dean of Academic Affairs. He has also taught, as a Distinguished Visiting Professor, at St. Lawrence University, University of Oklahoma, Wichita State University, and Our Lady of the Lake University. Since 2004, he has been a member of the graduate faculty of Spalding University’s Brief-Residency MFA in Writing Program. 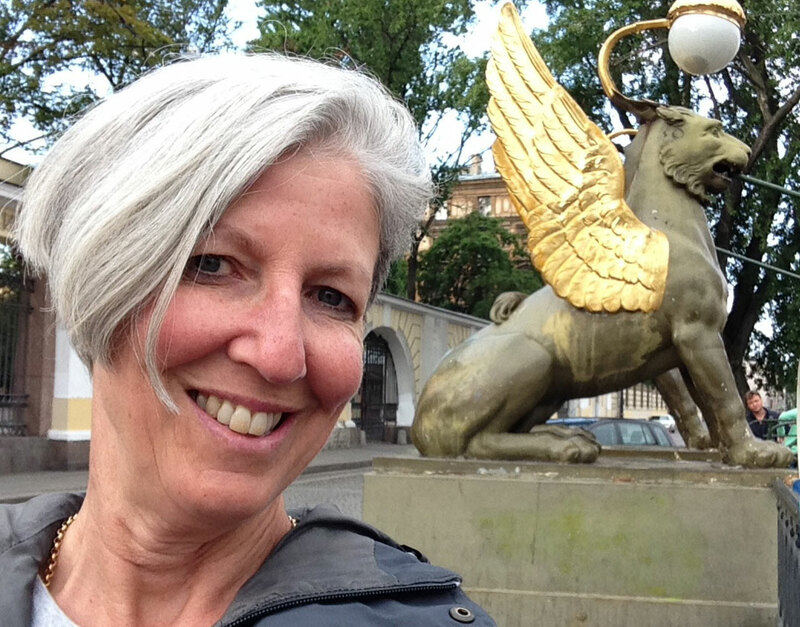 Barbara Haas (MFA, University of California-Irvine) coaxes from her CNF essays raw facts and empirical data the kind of nonfiction narrative that is at once grounded in information but also emotionally evocative. Instead of discovering and advancing original science about an eco-issue, or conducting research on it, her CNF involves aggregating and synthesizing existing knowledge with historical data, cultural happenings and contemporary events (ecological hazards, natural disasters, food issues, climate change and the like) in order to probe mysteries, illustrate basic truths and tell a good story. This approach allows her to search out odd pockets of meaning, forge creative links, make connections between disparate elements and ultimately examine the social and cultural implications of the human drama beneath the sheer weight of numbers, facts and information. Her purpose is to contribute to an ongoing global debate or conversation about nature, ecology and culture. She has traveled extensively in service of this aim. Post-Soviet environmental issues in Russia are an enduring passion. Her short stories have appeared in such journals as Glimmer Train, The Antioch Review, Georgia Review, Quarterly West, Western Humanities Review and others. She is a repeat contributor of fiction to The North American Review, Virginia Quarterly Review and the Hudson Review. The U.S. government has endorsed her work in the form of a National Endowment of the Arts Fellowship in Fiction. Her short story collection is When California Was an Island. Christiana’s second collection of stories, Here is What You’ll Do, was a finalist in the 2010 Flannery O’Connor Award for Short Fiction. She is the recipient of the Drunken Boat Panliterary Award for Fiction, the Chelsea Award for Short Fiction, the Great River Writers’ Retreat, the Louisville Literary Arts Prose Prize and a multiple Pushcart Prize nominee. Her stories have been published in The Huffington Post, Passages North, Glimmer Train, Dogwood, New South, Lumina, Storyglossia, Drunken Boat, So To Speak, Literary Salt, Carve, Chelsea, Green Mountains Review, American Literary Review, and a variety of literary formats. Christiana is the Advising Coordinator for undergraduate English majors and the Advising Coordinator for the Women’s and Gender Studies program. She teaches primarily undergraduate Creative Writing classes, such as the Write Like a Woman course she created in 1998 and has been teaching writing for nearly 30 years. She has taught in residential treatment centers for emotionally disturbed adolescents, a maximum security prison and at universities in Minnesota and Colorado, as well as the Midwest Writing Center’s annual writing conference. In June 2013, as the David R. Collins invited speaker, she delivered a keynote address, “Between Word Greed and Abandonment: Learning to Love the Process,” at the Midwest Writing Center conference. At ISU she has graduate faculty status and has taught the Graduate Fiction Workshop. 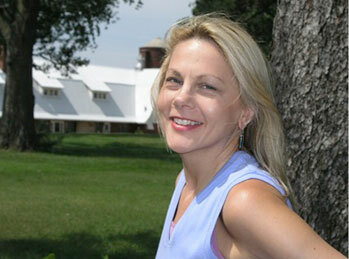 Debra Marquart (MLA, Moorhead State University, Minnesota) is the author of six books including, Small Buried Things: Poems (2015), The Horizontal World: Growing Up Wild in the Middle of Nowhere (2007), and a co-edited anthology of experimental writing, Nothing to Declare: A Guide to the Prose Sequence (2016). A Professor of English in the MFA Program in Creative Writing and Environment at Iowa State University, Marquart is also the Senior Editor of Flyway: Journal of Writing & Environment. She has delivered over 250 invited readings and keynotes at universities and conferences from New York and Washington to Greece and Ireland. Her environmental poem, “Lament,” was selected for inclusion in Best American Poetry 2016. Marquart is the recipient of over 50 grants and awards including an NEA Fellowship, a PEN USA Nonfiction Award, the Wachtmeister Award for Excellence in the Arts, the Normal Poetry Prize, the Paumanok Poetry Award, and Elle Magazine’s Elle Lettres Award. Her short story collection, The Hunger Bone: Rock & Roll Stories, which draws in her experiences as a road musician, was awarded the Headwaters Prize (New Rivers Press, 2001), and her poetry collection, From Sweetness, won the Pearl Poetry Award (Pearl Editions, 2002). Marquart’s first poetry collection, Everything’s a Verb, was awarded the Minnesota Voices Award. Also a singer-songwriter, Marquart has recorded two CDs with her band, The Bone People: Orange Parade (original songs) and A Regular Dervish (jazz-poetry). With The Bone People, Marquart has adapted her poetry to auditory landscapes and backgrounds of music to enhance the auditory and performative quality of poetry. She continues to perform her jazz poetry and music with The Bone People and as a solo artist. Marquart’s work has been featured on the BBC, and on three NPR programs—Morning Edition, Garrison Keillor’s The Writer’s Almanac, and Tom Ashbrook’s On Point. She is currently working on two projects: a book of poems about the oil boom in her home state of North Dakota; and a memoir, entitled The Listening Room: Notes on a Life in Music, which is an acoustic ecology on the art of listening, an autobiography of dreaming and catastrophe, and a meditation on the pleasures of making and performing music. 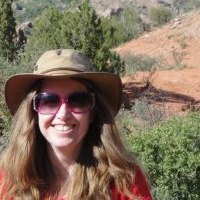 Charissa Menefee (PhD, Southern IL U-Carbondale) is a playwright, poet, director, and performer. Her chapbook, When I Stopped Counting, is available from Finishing Line Press, and her poetry can also be found or is forthcoming in Adanna, Poetry South, Terrene, Poets Reading the News, The Paddock Review, Twyckenham Notes, Amygdala, The Indian River Review, Footnotes, Dragon Poet Review, Telepoem Booths, and collections such as The Hippocrates Prize for Poetry & Medicine Anthology, Surprised By Joy, and The Poeming Pigeon: In the News. She is a 2018 Writer-in-Residence at the Fairhope Center for the Writing Arts. Dr. Menefee has been a Tennessee Williams Scholar in Playwriting at the Sewanee Writers’ Conference and a finalist for the Julie Harris Playwright Award. Her plays have been honored by the Utah Shakespeare Festival's New American Playwrights Project, Pandora Festival of New Plays, American College Theatre Festival, Arizona Theatre Conference, Christian H. Moe Awards, and City of Charleston Literary Arts Awards. Pretty Lucky is included in 105 Five-Minute Plays for Study and Performance (Smith & Kraus). Recent productions include Our Antigone, adapted from Sophocles, premiered at Story Theatre Company (Iowa); Your Soup, Sir, part of Paula Vogel's UBU ROI Bake-Off at the Playwrights Center (Minnesota); Sarah's Poem, premiered in Rover Dramawerks' 365 Women a Year Festival (Texas); Check Your Ticket, included in the What She Said Festival at The Underground Theatre (Minnesota); and Lydia's Plan, named Best Play in the Theatre Lawrence Short Play Festival (Kansas). How Long is Fifteen Minutes? was supported by a research grant from Iowa State University's Center for Excellence in the Arts & Humanities and recently featured in Tennessee Women's Theatre Project's Women's Work Festival; the anchoring monologue is in production as a short film, directed by the author. Dr. Menefee has been involved with about two hundred plays, as writer, director, producer, dramaturg, actor, designer, and technician. She was co-founder and co-producer, with playwright Micki Shelton, of Tomorrow’s Theatre Tonight, a new play reading and development series that ran for nearly a decade in Arizona. Current projects include two new collections of poetry, Last of the Shepherds and The Poet Donates His Minutes; a new full-length historical drama; and a novel. 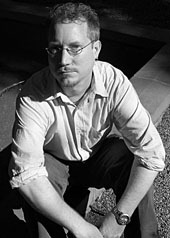 David Zimmerman (MFA, University of Alabama) attended Emerson College for film studies and then went on to earn an MFA in creative writing at the University of Alabama. He has worked as a publicist at St. Martin’s Press in NYC and taught writing at Georgia Southern University, Dilla University College in Ethiopia, South College in Savannah and the University of Wisconsin, where he was also a fiction fellow at the Wisconsin Institute of Creative Writing. His books include a novella, Socket, published by Anvil Press, and two novels published by Soho Press—The Sandbox, published in 2010, and Caring is Creepy, published in 2012.